As with the beta released last October, users of FaceTime for Mac simply enter their Apple ID to login and chat with other Mac, iPhone 4 or fourth-generation iPod touch users. The new application also supports high-definition 720p video, offered with the new FaceTime HD camera in the new MacBook Pros released on Thursday. 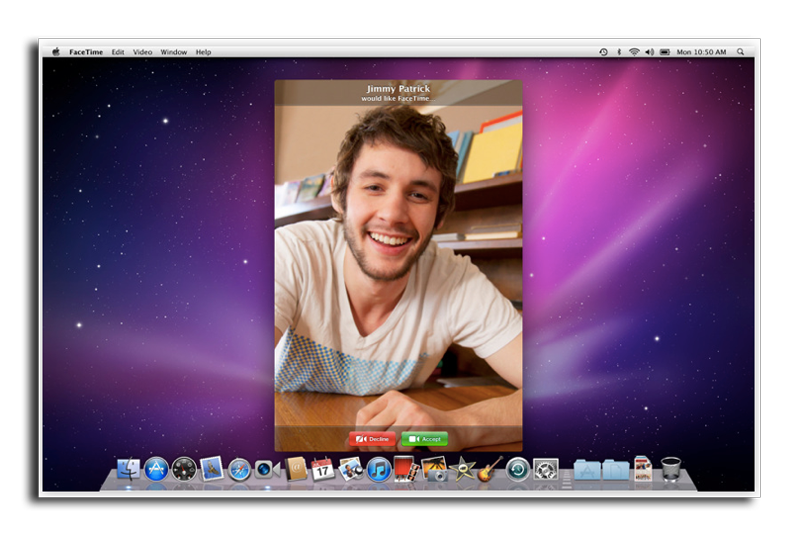 On a Mac with a standard-definition camera, the application offers VGA-quality video for Mac-to-Mac calls. Users can make calls using their existing Address Book contacts, and add people they call most often to their Favorites list. The application also features a list of recent calls. Window and playback controls fade away in FaceTime for Mac, allowing users to keep the focus on their conversation. The view also transitions smoothly when an iPhone 4 or iPod touch user switches from front to rear cameras or from portrait to landscape views. FaceTime's Widescreen aspect ratio also makes it easier for families and groups to participate in a call. Users can also place a call in full-screen to use every inch of their Mac display. Version 1.0 of FaceTime for Mac also retains the application's push notification feature, which allows incoming calls to ring on a Mac, even if FaceTime isn't running. If a user has more than one Mac, incoming calls will ring on every computer so they can answer on the Mac that's most convenient. 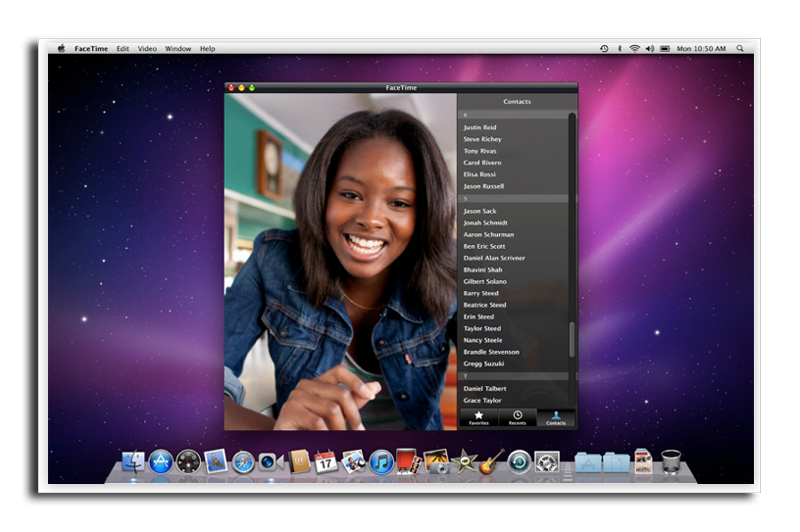 FaceTime for Mac (iTunes link) requires a built-in FaceTime camera, an iSight camera (built-in or external), a USB video class (VC) camera, or a FireWire DV camcorder; and a 128-Kbps upstream and downstream Internet connection. Making HD video calls requires a built-in FaceTime HD camera and a 1-Mbps upstream and downstream Internet connection. Receiving video HD calls requires a supported Intel-based Mac. Update: The 99 cent fee has been confirmed to be a result of regulatory fees associated with software updates. The situation is similar to when Apple charged a fee for users to unlock 802.11n functionality with a software update years ago. The Sarbannes-Oxley Act requires that companies charge for significant features added to already-purchased products.